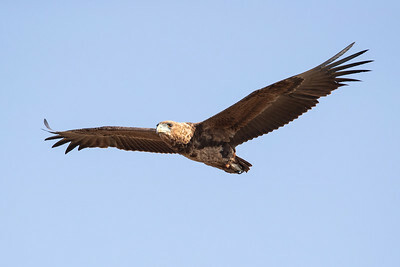 An adult Bataleur Eagle hunting over the fields. 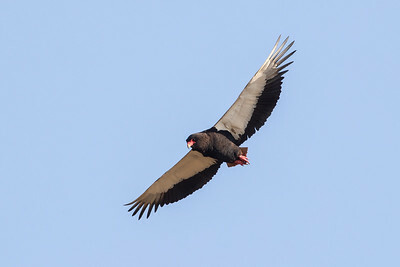 An adult Bateleur Eagle hunting over the fields. 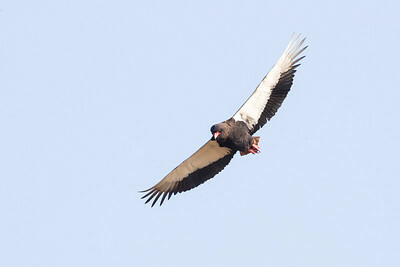 An immature Bateleur Eagle hunting. 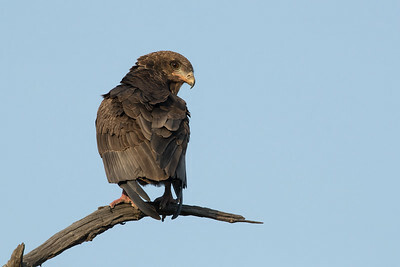 An immature Bateleur Eagle at last light. 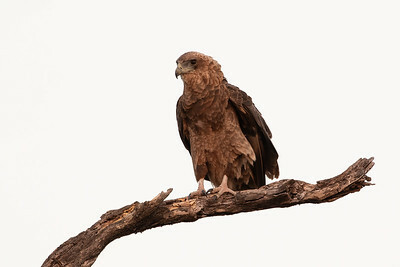 An immature Bateleur Eagle in the morning light. 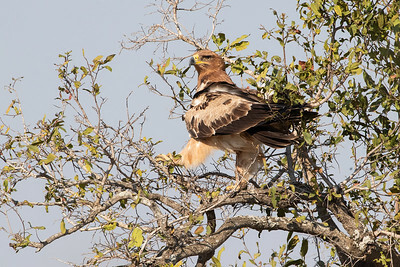 A perching Brown Snake Eagle along Hippo Pools Road in the Kruger. 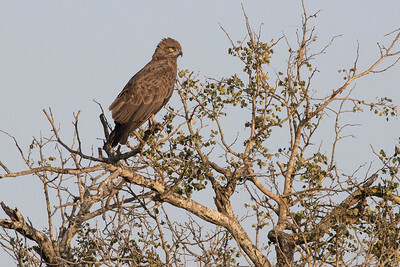 An adult Tawny Eagle perching beside Gomondwane Road near the Crocodile Bridge River entrance gate. 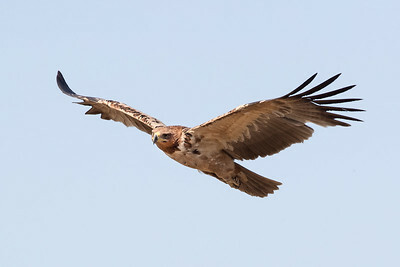 A Tawny Eagle soaring near the Crocodile Bridge River entrance of Kruger. 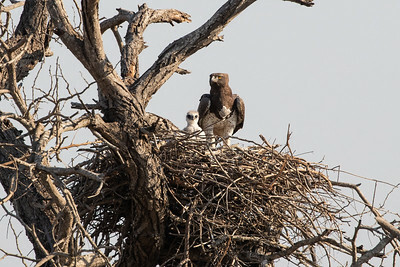 A female Martial Eagle waiting for her mate to bring food. 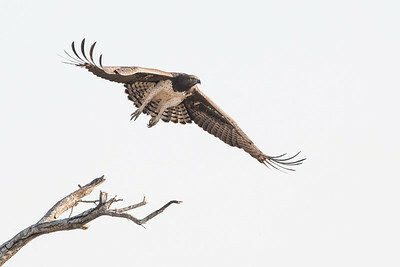 A male Martial Eagle leaves the nest tree to hunt. 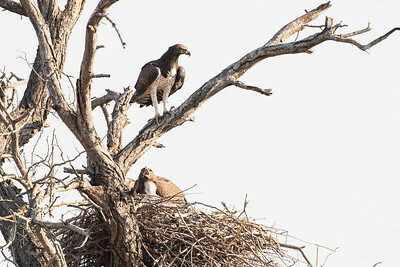 Male eagle on top, female below. 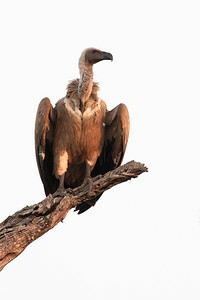 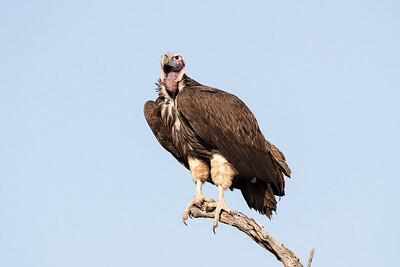 A Hooded Vulture surveying its territory while preening. 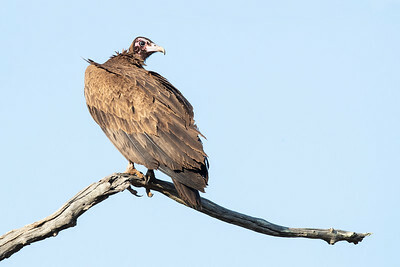 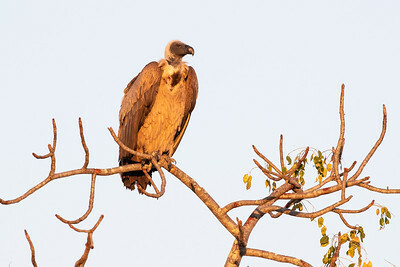 Lappet-faced Vulture perching before sunset. 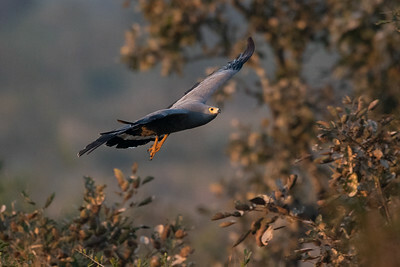 An African Harrier Hawk in flight in the morning light near the S28. 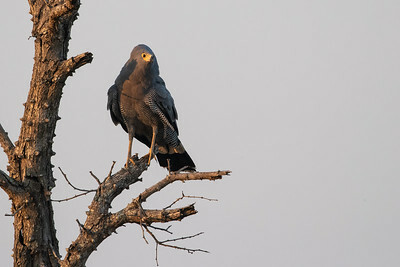 An African Harrier Hawk perching in the morning light near the S28. 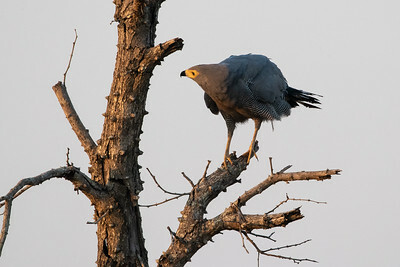 An African Harrier Hawk looking for food. 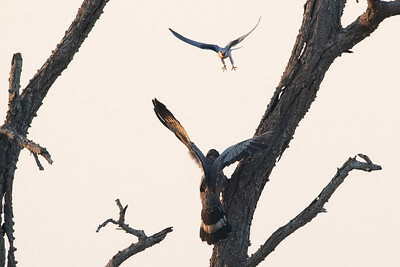 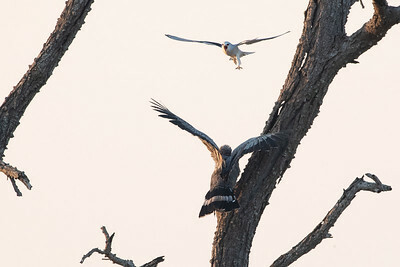 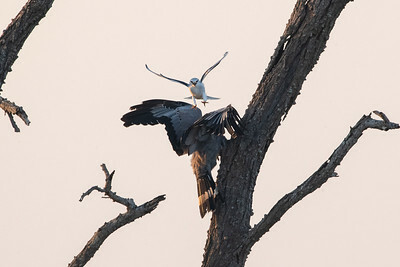 A Black-shouldered Kite attacking an African Harrier Hawk. 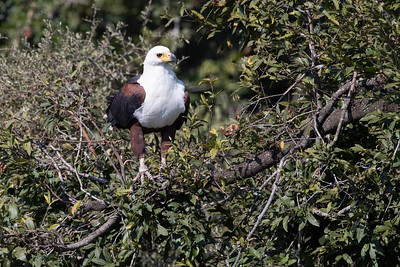 An African Fish Eagle perched near the Crocodile Bridge Gate entrance to Kruger. 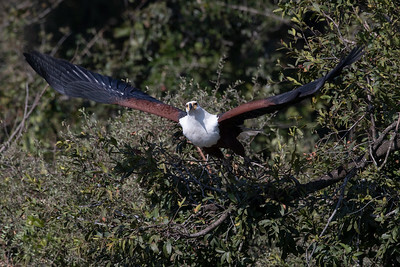 An African Fish Eagle takes off from its perch. 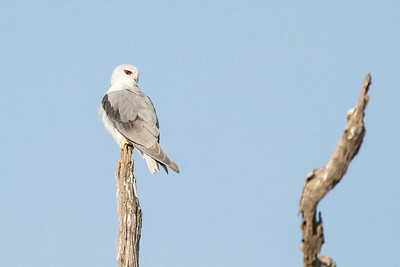 An adult Black-shouldered Kite perching along the S137. 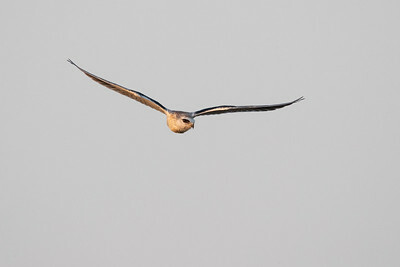 Juvenile Black-shouldered Kite in flight. 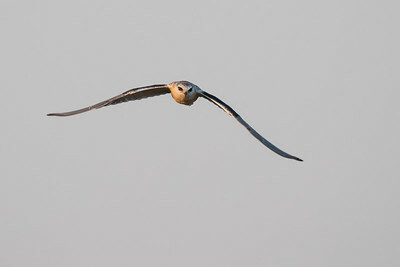 A juvenile Black-shouldered Kite in flight. 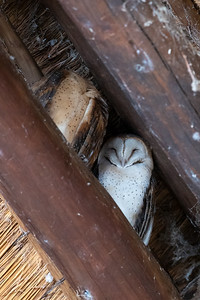 Two adult Barn Owls of different morphs sleeping in the roof of Mug and Bean at Lower-Sabie camp. 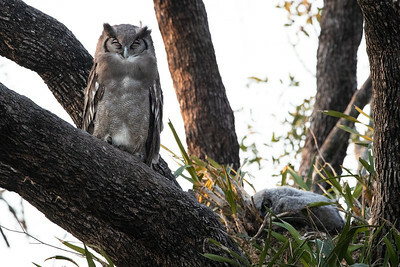 An adult female owl guarding her chick in a tree along the S25.